The red zone in the map below shows the regions we currently serve. 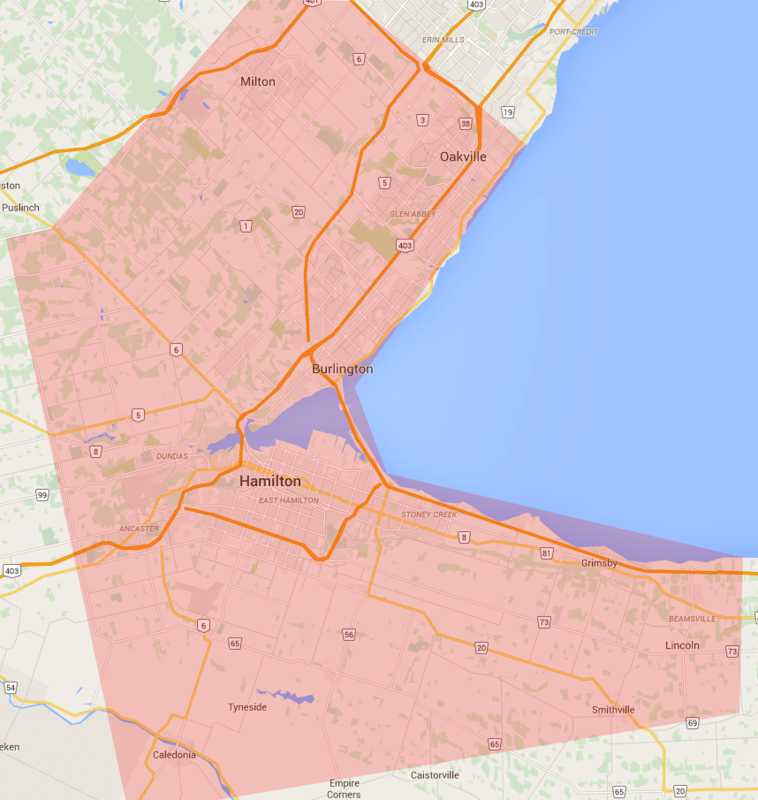 Burlington to Campbellville, Oakville to Milton, and Hamilton to Caledonia and Beamsville. We do serve outside areas but on special requests only and there is an additional fee applied.